Dr. Shane Young, Chiropractor in Chatsworth, California and surrounding areas, is the owner-operator and founder of Chirofit. Dr. Young, along with the rest of our compassionate team at Chirofit, are committed to providing the best chiropractic solutions to address your unique needs. We offer intuitive solutions to those who experience back pain, neck pain, headaches, and even muscular tightness or tension. If the source of pain is because of an accident or injury, or if you suffer from a specific condition like chronic pain or an acute condition, Chriofit’s chiropractic services will improve your quality of life. Additionally, our Chatsworth chiropractic clinic welcomes those who are interested in improving their overall health, as our chiropractic clinic is an optimal choice for those seeking a healthy lifestyle. Our Chatsworth area based chiropractic services will aid and support you in advancing your everyday wellness goals. We strive to provide complete care for our patients. Learn more about how Chiropractic care could help you. At your first visit to our chiropractic clinic, Chirofit, Dr. Shane Young will explain how chiropractic services address our body’s needs. At Chirofit, you will receive a full evaluation by the Doctor to determine how our quality chiropractic care solutions will service your individual needs. We customize a personalized chiropractic care plan for your health and wellness goals, focusing on any conditions and pain that may be present. Our Chatsworth chiropractic clinic allows you to make the best investment; your personal health and wellbeing. If you would like to find out more about health and wellness, chiropractic services or Chirofit: your first choice for chiropractic care in Chatsworth, CA, please feel free to Email Us at chiropracticfit@gmail.com or call us at 818-963-2291 for answers from Dr. Shane Young and our experienced team members. Excellent chiropractor. Had an excruciating neck pain and thankfully I was referred to Dr. Young by his patient that work out at my gym. It literally changed my life. I am addicted and can not even imagine to go through pain again. I workout everyday and my body has never been healthier and in better shape inside and out. He is very knowledgeable and committed to his patients. I highly recommend Dr. Young. Dr. Young did an amazing job working on my back. I recently had a newborn and without the regular alignments on my back that Dr. Young has given me have been life savers! My whole family thanks you! Chirofit, the best chiropractic care in the San Fernando Valley, aims to provide comprehensive and personalized treatment plans to aid in your health and wellness, overcome pain, and recover from injuries as efficiently as possible. With Woodland Hills, Sherman Oaks, Canoga Park, Northridge, Granada Hills, and Simi Valley neighboring Chatsworth, CA, Chirofit is a convenient stop for top chiropractic care. Because of this, quality chiropractic services for San Fernando Valley’s residents is just a few minutes’ drive away! Adjustments are part of standard routine chiropractic care. Adjustments are essential to efficient chiropractic care because our bodies go through slight shifts from life experiences, causing problems and sometimes pain. Life experiences causing these shifts may be from accidents, injuries, and also just physical daily wear that life inevitably causes on our body. Very natural occurrences like pregnancy, giving birth, and even being born are also causes for these shifts. In addition, activities that many people do on a daily basis can cause the shifts, such as; driving, using a computer, and working out. By receiving chiropractic adjustments at Chirofit in Chatsworth, CA, we treat conditions, pain, and injury to improve overall wellness through the musculoskeletal system. Likewise, common ailments that aren’t typically associated with chiropractic care that have had positive responses to it include allergies, high blood pressure, and headaches or migraines. These conditions, as well as many others, respond positively to our chiropractic adjustments. Unfortunately physical activity can often lead to injuries. Many people commonly get exercise or sports injuries because of accidents caused during physical activity. Pushing your body too hard without completing proper stretching or warm ups for the exercise is a primary example of the cause of an exercise injury. It is also caused by using the wrong form, not having correct equipment, or bumps and falls occurring during the activity. Chiropractic services from Chirofit in Chatsworth, CA, is not only a way to keep you performing at your best, but also a treatment to remedy and improve your sports injury. For a list and explanation of specific services we offer for injuries, visit the tab at the top of the page labeled “Services” and “Exercise Injury”, or contact us anytime for more information on how we can suit your personal needs. Massage therapy goes hand in hand with chiropractic care at Chirofit in Chatsworth, CA. 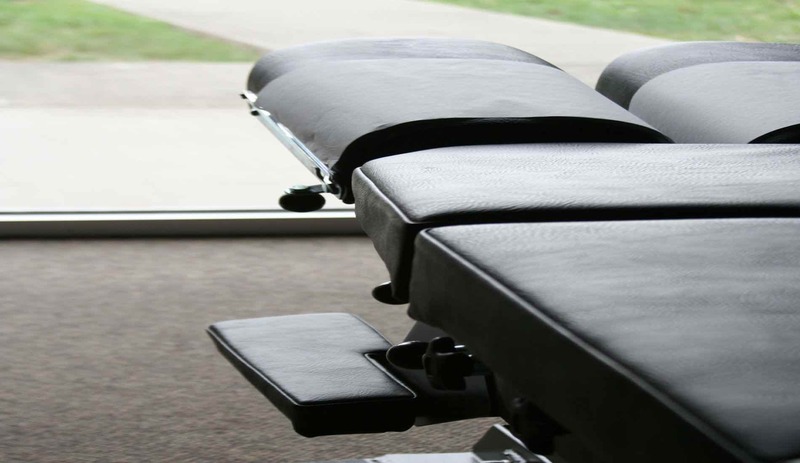 Massage therapy at our chiropractic office in the San Fernando Valley establishes maximum relaxation, and is also many times an essential part of your treatment plan. Chiropractic massage therapy will not only help your body reach its optimal performance, but also guide your body on its way to ideal health and wellbeing. The benefits of our chiropractic massage therapy at Chirofit are endless, and include increased blood circulation, spasm relief, swelling and inflammation reduction, as well as physical and mental stress reduction. Here at Chirofit, we tailor each session to what best fits your wants and needs, which provides a unique and personal experience that you simply can’t find elsewhere. A large number of chiropractic patients are seeking relief from pain associated with being involved in motor vehicle accidents or some other type of accident that results in injury, such as a fall. Chirofit offers superior services that allow significant improvement for this type of pain. Here at our Chiropractic office in Chatsworth, CA, we approach pain from personal injury as a team. Doctor Shane Young is experienced in providing skilled, quality care for your personal injury. If you are considering seeking legal assistance, we offer a lien program for your convenience. Working with liens allows you to receive our chiropractic services at no cost to you while your case is being settled. We are meticulous with our record keeping, which enables us to promptly provide all relevant information to your lawyer directly. Offering these lien services allows you to be treated for your pain at our chiropractic office with peace of mind and comfort. We take pride in relieving you of additional tasks and burdens, along with relieving your pain during a potentially difficult time in your life. This is just one of the many reasons why Chirofit is the prime chiropractic office in the San Fernando Valley. Please call, email, or visit our office in Chatsworth, CA, for more information about our lien program and how we can relieve any pain your body has endured from your personal injury. If you have a condition or ailment and would like to know how services at Chirofit in Chatsworth, CA can benefit you, please email us or call us, we would be happy to provide you with more information on how we can help you live your best life.